Fear is a natural response caused by a real danger. It's a survival instinct which warns us against certain things or situations. A phobia, however, is an irrational fear of an object or situation that causes little or no danger. For example, arithmophobia (fear of numbers) may cause certain individuals anxiety, but the fear itself won’t cause any danger. Phobias are linked to our subconscious, and because they are irrational, they can often be dealt with effectively through hypnosis. 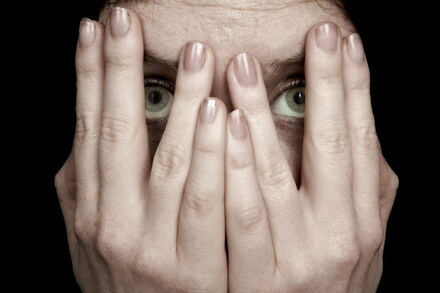 Believe it or not, phobias are extremely common. It is believed that 11% of the population suffer with some kind of irrational fear. Phobias can range from the less well-known i.e. asymmetriphobia (fear of asymmetrical things) to the more commonly recognised dentophobia (fear of dentists). There will usually be strong avoidance behaviour connected with the phobia, and feelings of anxiety, loss of control and panic. Sufferers usually know their fear is irrational, but they simply cannot control it. Some common examples of Specific Phobias are closed-in spaces, spiders or a fear of dentists or of flying. It is a fear of a particular thing rather than just extreme fear and these phobias usually begin early in the individual's life and continue into adulthood. Social Phobia is extreme anxiety and discomfort in social situations. Although sufferers are aware that they are acting irrationally, they are incapable of controlling and overcoming their fears. It can vary from a fear of just one situation to fearing all situations that involve other people and is extremely limiting. An irrational fear of something is a learned behaviour, sometimes from a parent or a respected friend or relative. Often phobias are exaggerated fears of evolutionary memories; imprints on our brains that help to protect us. For instance, a person with a phobia cannot differentiate between the danger posed by one of the world's poisonous spiders and the harmless house spider common in this country. Generally people manage their phobia on a day-to-day basis and only seek help from a hypnotherapist when it prevents them doing something they want to do, or when they know a situation will force them to face it. In most cases, the solution is to see the phobia in a different context starting from an objective perspective and then gradually building up exposure from a minimal to a comfortable level. Using hypnosis, this can be done rapidly, as the subconscious is able to process information more effectively without the interference of the critical conscious mind. This is known as "desensitisation". Often phobias can be treated in just one session. There is, however, no guarantee, as change depends on the individual's willingness to embrace it. We will therefore always discuss a realistic expectation of how long treatment may last. There is no 'one size fits all' approach to treating phobias or, indeed to any aspect of hypnotherapy, as all clients are considered individually, so how we develop the therapy together will largely depend on whether you know how and when the phobia began, how you currently view it and how receptive you are to change.